The second edition of the Valletta Film Festival (VFF), organised by the Film Grain Foundation, takes place from 3rd to 11th June 2016. During the VFF, over 40 international films will have their Maltese premieres showing in various open-air venues around Valletta: Pjazza Teatru Rjal; Fort St Elmo; and St George’s Square. Spazju Kreatti; and Embassy Cinemas will also host several screenings. “Following the success of the first edition, this year’s VFF includes more films, more events and a new sidebar section entitled ‘Teens Only’, showcasing films for teenagers from the ages of 13-18,” said Oliver Mallia, one of the directors of the Festival. Opening night will be held at Pjazza Teatru Rjal, with the premier of Inhebbek Hedi, a Tunisian film by Mohammed Ben Attia. At the ceremony, the two main actors of the film, Majd Mastoura, winner of Best Actor at the 66th International Berlin Film Festival, and Rym Ben Messaoud, will be present to launch proceedings. 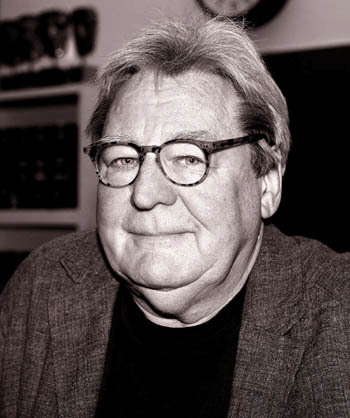 One of the highlights of this year is special guest Sir Alan Parker, the director of Midnight Express, Evita and The Life of David Gale. He will be in Malta to celebrate Valletta’s 450th anniversary and its links to cinema at a special screening of Midnight Express on Saturday 4th June at Fort St Elmo, the location where the film was shot. Seven feature films, seven documentaries and 26 short films will be competing for the Triton Awards in Best Film, Best Director, Best Screenplay, Best Cinematography, Best Actor and Actress, Best Documentary and Best Short Film. The awards ceremony will take place on Saturday 11th June at Fort St Elmo. VFF will also include Masterclasses on ‘Directing Actors’ and ‘Writing the Short Film’, as well as the Conference of Small Nations, which are supported by the Malta Film Commission. Tickets can be bought online from vallettafilmfestival.com. Festival passes, allowing access to all the screenings, masterclasses and events, are also on sale. – Proud to be Polish! ! !